There are more than 500 marathons worldwide these days and the New York City Marathon is one of the five largest and most prestigious marathons in the world. The event draws more than 100,000 applicants annually from around the globe with a limit of 38,000 participants. 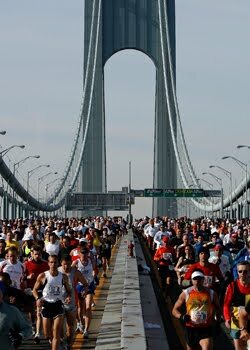 This year’s New York City Marathon will take place on November 7, 2010 and our very own USANA Australia & New Zealand General Manager, Gill Stapleton has guaranteed a place. The long run is an important element in marathon training. Greater weekly training mileages can offer greater results in terms of distance and endurance, but also carry a greater risk of training injury. Another essential part of marathon preparation is looking after your nutritional health. Gill not only heads USANA Australia & New Zealand, she loves the products too! She takes USANA HealthPak, CoQuinone 100, Proflavanol C, BiOmega, Procosamine II and Vitamin D to keep her body in the best condition. In order to avoid digestive problems, Gill also takes USANA Nutrimeal and loves the new fibergy. The countdown is on. 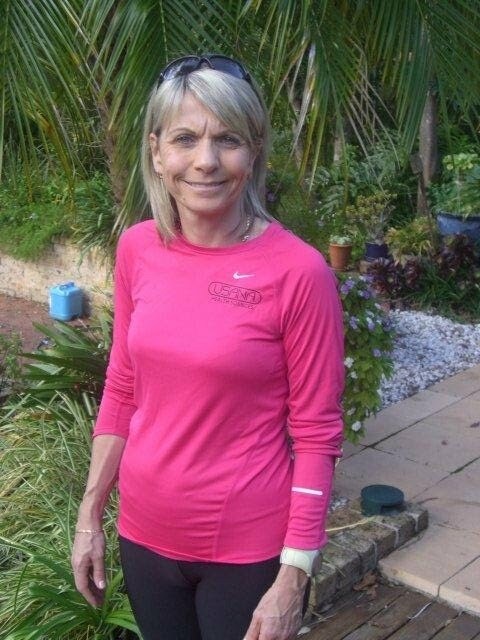 USANA is very proud to support Gill who is running for a great cause – Breast Cancer Network Australia. 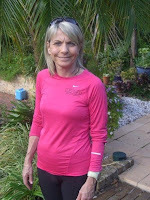 With the Paris marathon under her belt and New York soon notched up, Gill is contemplating London marathon for 2012. What goals are you setting for yourself for this year and next? Let’s cheer Gill on! Leave your message of support as a comment below or as a message on Facebook. 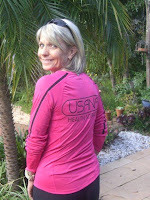 Gill is going to wear her USANA pink top for the run.